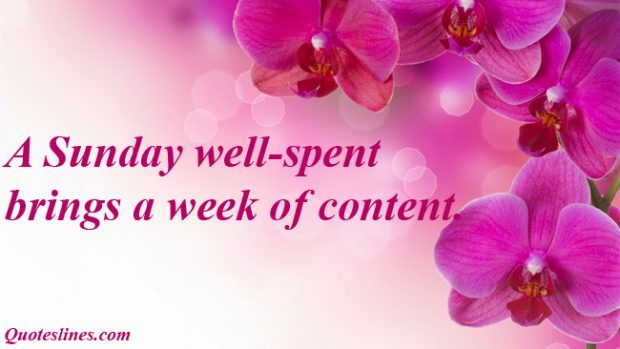 Sunday is the most precious day of the week because that is the weekend around the world. Most people have a strong attraction for this day and really this is the day of enjoyment. 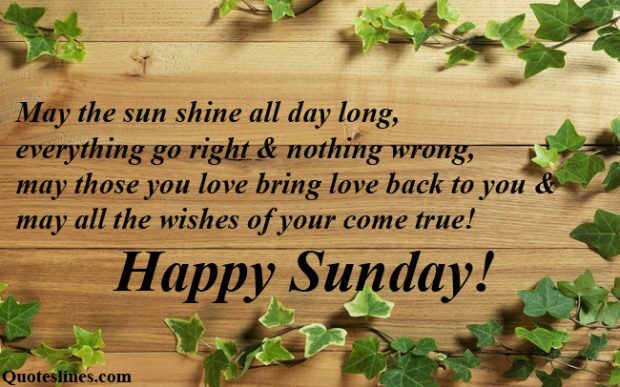 There are lots of inspirational and funny sayings about Sunday around the web and from which we compiled the very Best Sunday Quotes and sayings with images along with some happy Sunday quotes and Sunday morning quotes that are also too good to share with friends and close ones. Just make a visit through our compilation of Sunday quotes with images and surely you will feel so much amazed. Please feel free to share with your desired one. Sunday is a start and I am also starting my new day, then I need to feel happy. Smile more than you cry give more than you take and love more than you hate. Happy Sunday dear! 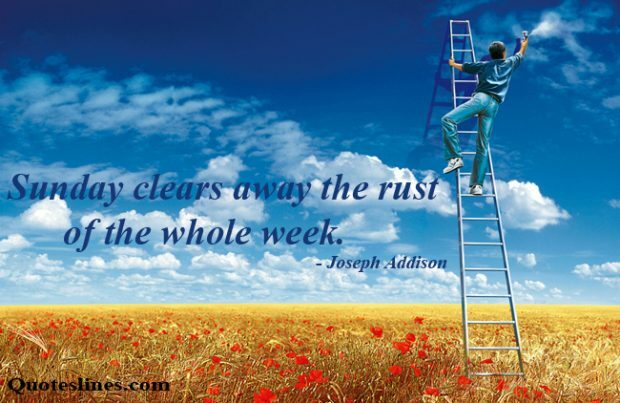 Start this Sunday with a clean heart. No doubt, no tears, no fear, no worry. Thank God for his priceless gifts and miracles throughout the world. 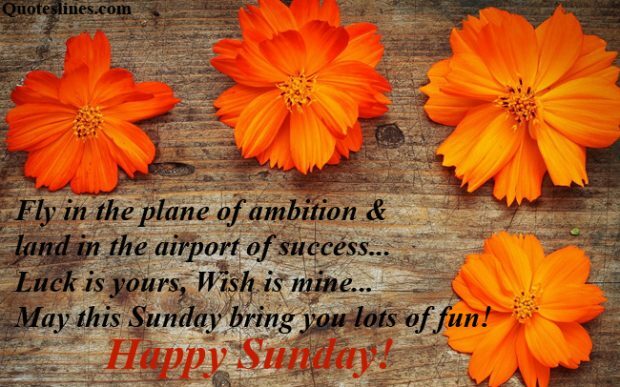 Fly in the plane of ambition & land in the airport of success…Luck is yours, Wish is mine…May this Sunday bring you lots of fun! Happy Sunday! Yesterday is a memory, Tomorrow is a mystery, Today is a gift. Have a lovely Sunday! True is true and today is Sunday, this is the biggest truth of life and so why not we meet and enjoy. Wake up every morning with the thought that something wonderful is about to happen! Wish you a happy Sunday! My wish for your Sunday May be it is beautiful day! may you share love and laughter with family and good friends and may the lord be ever present to keep you safe. May the sun shine all day long, everything go right & nothing wrong, may those you love bring love back to you and; may all the wishes of your come true! Happy Sunday! A relationship with God Is the most important relationship you can have embrace it every day. Happy Sunday! Wherever you go, no matter what the weather, always bring your own sunshine. Have a lovely Sunday! Soft Speech clean heart, peaceful eyes, strength-full hands, focused mind and determined decision with God’s Love. Always Makes you winner. Happy Sunday! Each moment of your life is a picture which u had never seen before and which u will never see again so enjoy and live life and make each moment beautiful. Have a happy Sunday! I like to spend my Sunday Nights wishing it wasn’t Sunday Night. 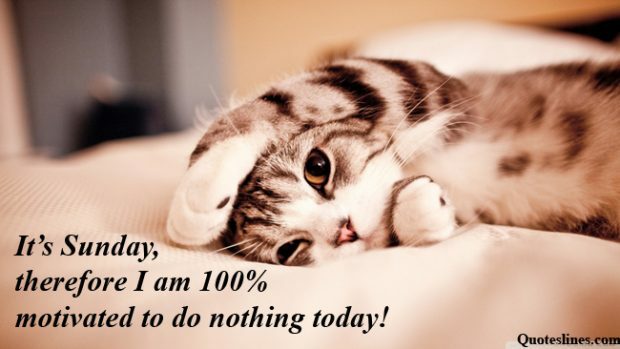 It’s Sunday, therefore I am 100% motivated to do nothing today! Thinks Sunday should be 48 hours instead of the usual 24, so we have more time to prepare for Monday. Sunday already, now where is the weekend remote so I can hit the rewind button. Sundays are made for coffee, cuddles, afternoon naps, sleeping in and not thinking about Sunday! 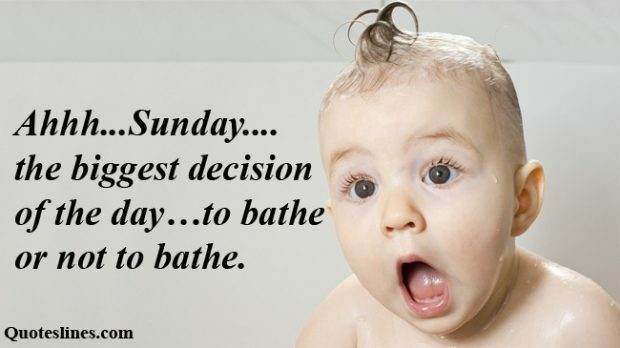 Ahhh..Sunday..the biggest decision of the day…to bathe or not to bathe. It’s Sunday night, the end of the weekend. I don’t want to go to bed, cause when I wake up it will be Monday and the weekend’s over. To everybody that is single don’t worry you will have your day…… Palm Sunday is just around the corner! The perfect Sunday morning is the family at home, staying in pajamas for half the day and eating a late breakfast. – Christine Taylor. Satan gets disturbed -and defeated -when you decide to do more that be a Sunday-morning Christian. – Jentezen Franklin. Sunday is your best day. 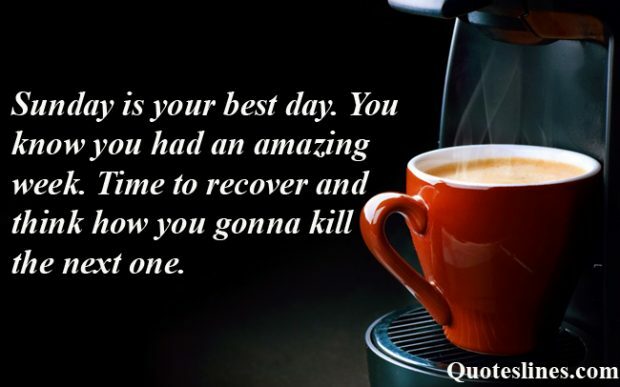 You know you had an amazing week. Time to recover and think how you gonna kill the next one. It’s a beautiful Sunday morning and a great opportunity to thank the Lord for reminding us how blessed we are! Every morning God says: one more time, live life, make a difference. Touch one’s heart, encourage one mind and inspire one soul. The Sunday morning service shows how popular your church is. The evening services show how popular your pastor is. Your private prayer time shows you how popular God is! – Leonard Ravenhill. Each morning you wake be thankful, grateful and appreciate who you are, you have life, you’re blessed and you’re beautiful. It’s easy for me not to go to Mass on the road. But I’ve made a fundamental decision. I’m going to be dedicated. I’m going to make the time. I’m going to get up, if that means getting up at seven on a Sunday morning before a day game and do it, I’m going to do it. – Mike Piazza. 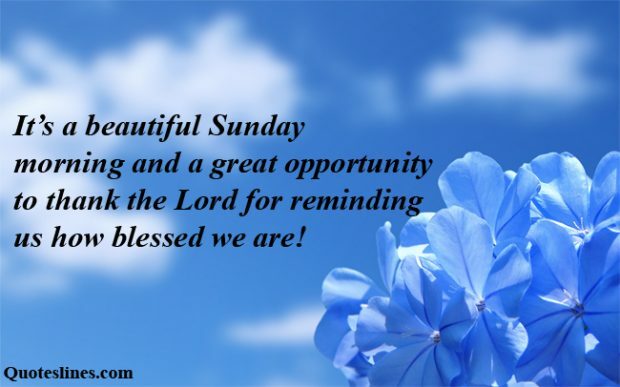 We hope that you have enjoyed our compilation of Sunday Quotes With Images and Funny, Inspirational Sayings About Sunday which we compiled by their quality and cuteness. Stay connected with us for further more update, thanks for visiting us!